(left) Evening dress, Lanvin-Castillo, 1954-55. Collection of The Costume Institute, MET. (right) “Snowflake” evening dress, Alexander McQueen, Fall 2008. Collection of the Museum at FIT. 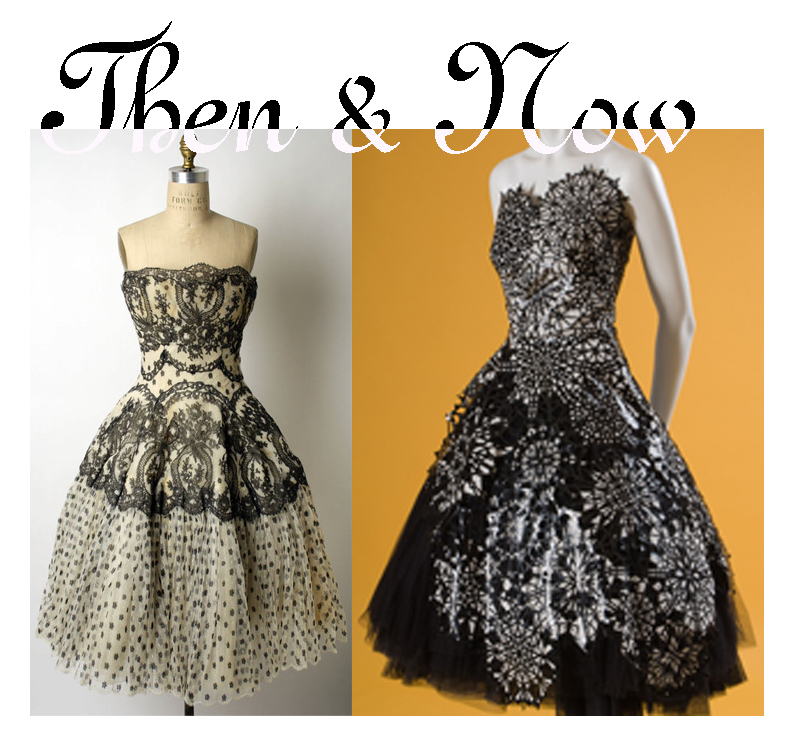 This entry was posted in Then&Now and tagged 1950s fashion, Alexander McQueen, Antonio del Castillo, Lanvin, MET, Museum at FIT, The Costume Institute. Bookmark the permalink. website dailly and obtain good facts from here daily. Hi there, I enjoy reading through yolur article post. I wanted to wite a little comment to support you. What’s up, I log on to your new stuff regularly. Your writing style is awesome, keep doing what you’re doing!